I don’t know about your kids, but my kids get almost as excited about their Easter baskets as they do their Christmas stockings. Going to sleep the night before takes a lot of coaxing they are so riled up. Speaking of going to bed, Easter seemed like the perfect time to craft my kids their own DIY Easter pillows. 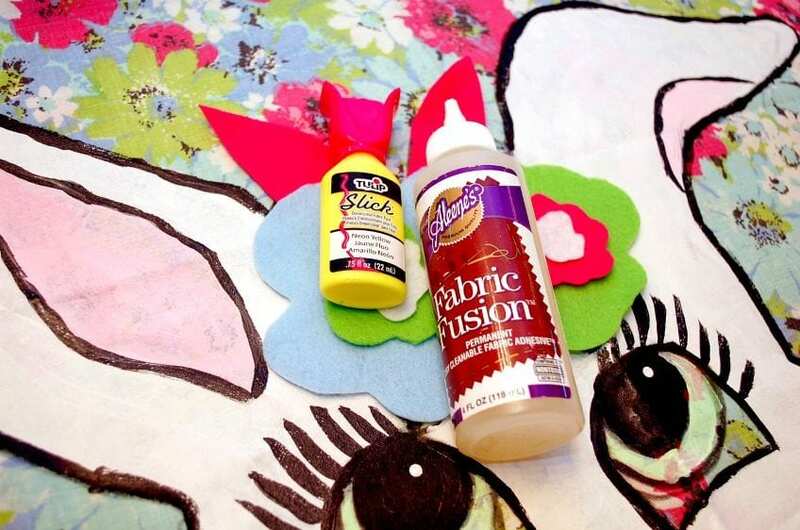 Fabric paint for the win and bunny ears for everyone! On Christmas Eve you have visions of sugar plumbs dancing in your head, but what about Easter? Visions of Peeps and Creme Eggs perhaps? 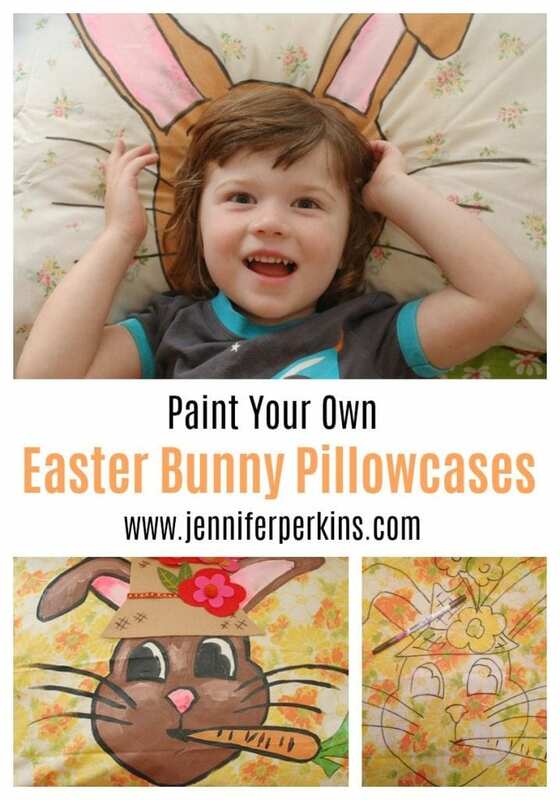 No matter what the kids will dream about on Easter eve these bunny ears pillowcases are sure to make their dreams sweeter! 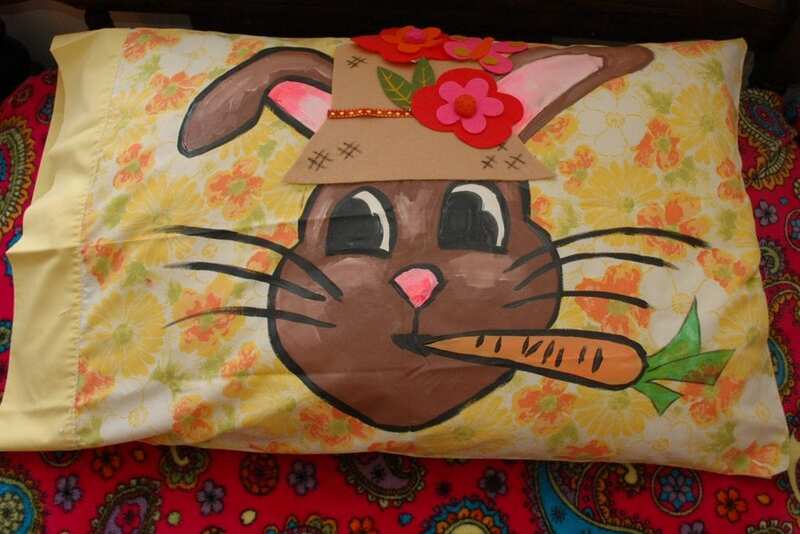 If you can draw a bunny (or in my case have a sister who can draw a bunny) you will have a hard time making just one Easter pillow. 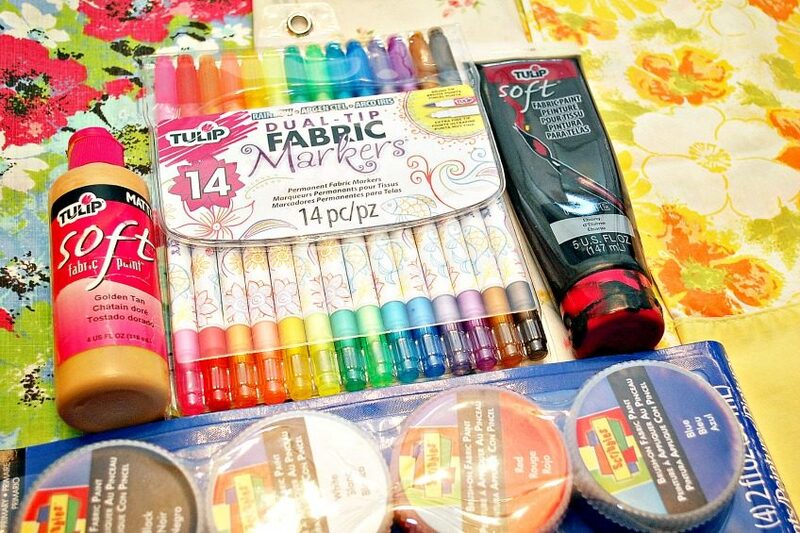 Gather up your supplies. 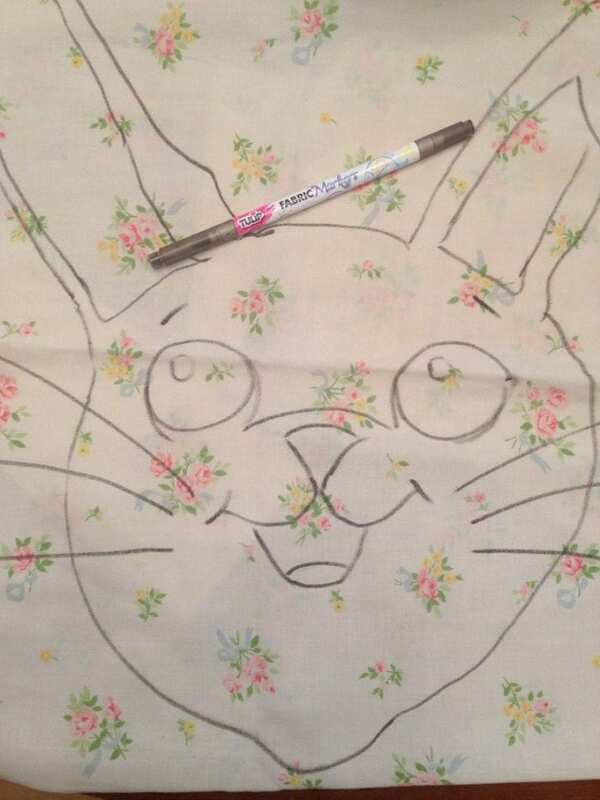 Using a fabric marker draw rabbits onto your pillow cases. 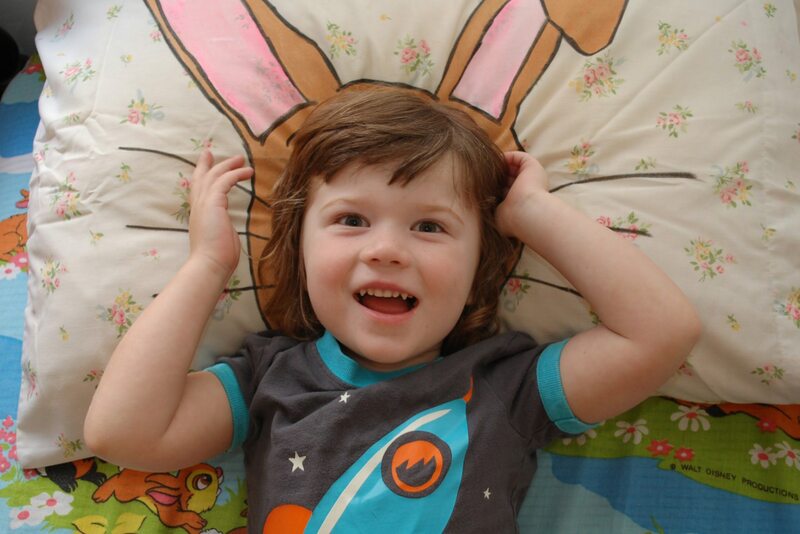 You want the heads and ears to be large enough so that when the child puts their head on the pillow they should look as if they have Easter bunny ears. Fill in the design with fabric paint. Paint that says it is soft will be better for sleeping on. Feel free to add fun embellishments like felt hats, flower crowns and carrots. 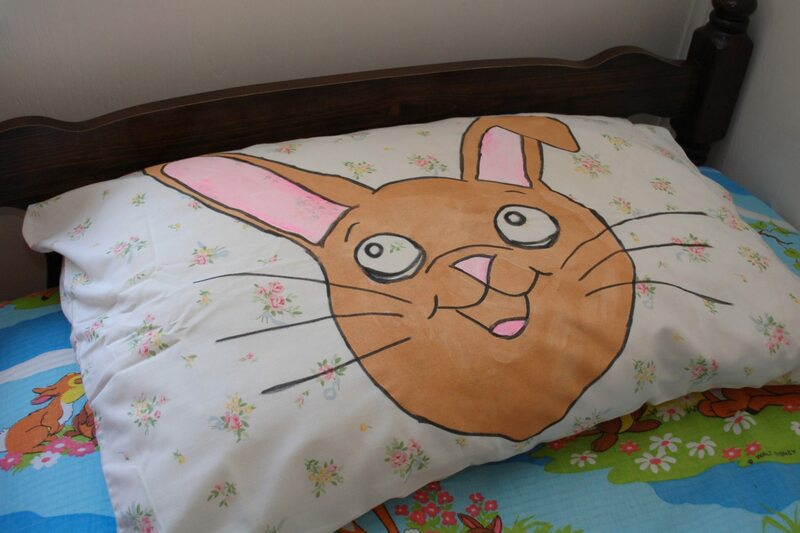 When you are painting in the rabbits, be sure to put a piece of cardboard inside your pillowcase. This will help preventing the paint from bleeding through to the other side. Not just kids, make enough pillowcases for the entire family! These fun retro floral pillowcases came from the thrift store. 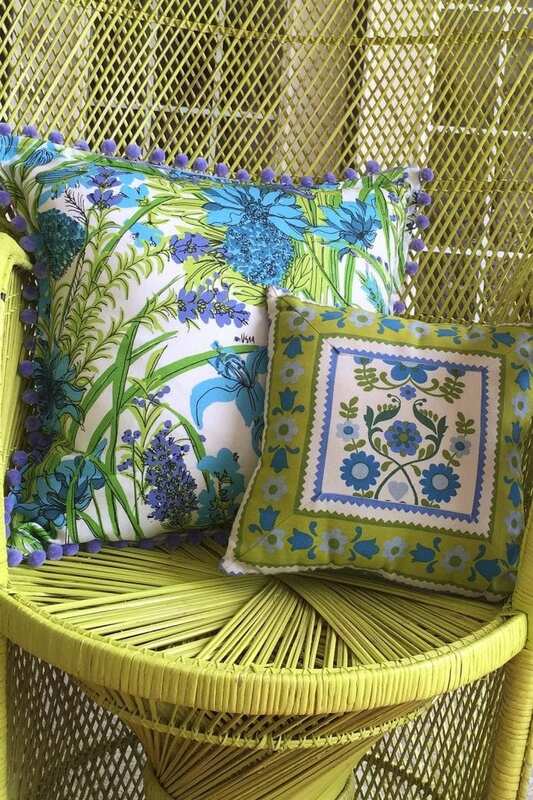 I personally love pattern on pattern (on pattern on pattern and you get the idea) but you can also use plain solid colored pillowcases as well. Boy bunnies, girl bunnies, white bunnies and brown bunnies – all types of bunnies are welcome to sleep over at my house on Easter eve! Now I’m inspired to branch out from bunnies like maybe reindeer at Christmas. When choosing embellishments make sure that they are flat and comfortable. Sure pompoms and raised elements look great, but they may not be so comfy to sleep on. Super cute for Easter, but fun all year long! 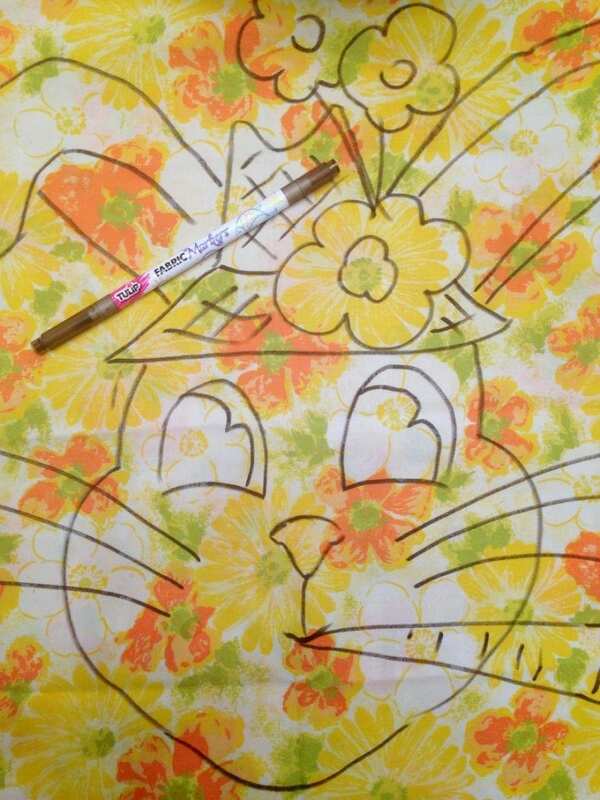 Check out my Easter Pinterest Board for more crafty ideas! 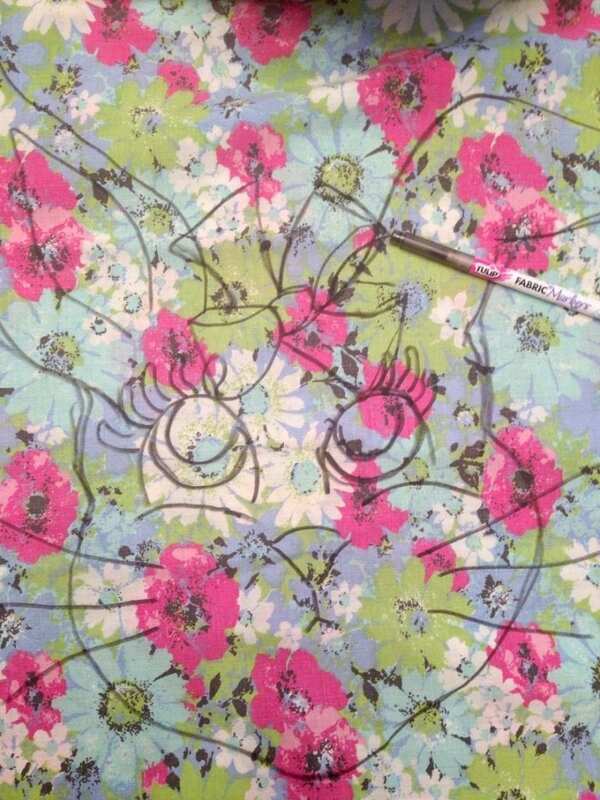 Oh and here is another pair of Easter Bunny Ears Pillowcases too Cute Not to Make over on DIY Network. Want more pillow inspiration? Keep reading. Easy No-Sew Outdoor Pillows from Napkins – So many cute cloth napkins, so few tables to set. I may never have a need for cloth napkins in the kitchen, but I can never have too many throw pillows! DIY Pompom Pillows – How many different ways can you embellish a pillow with pompoms? A LOT! 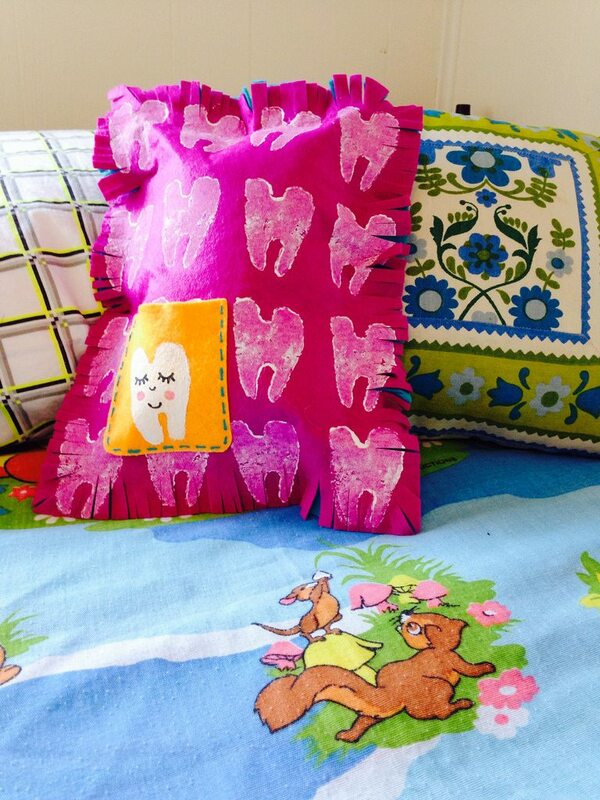 Taters and Toothfairies – Help the kids make their own DIY no-sew tooth fairy pillow complete with potato stamped teeth! Posted March 7, 2018 & filed under Crafts, Easter, Holidays, Kids Crafts.